What photography gear are you using these days? How are you challenging yourself? I’m carrying a Leica Q with me right now, which is a compact camera with a fixed lens but a full-frame sensor. I’ve rotated through many cameras, but I still like the images from my Leica Ms the most. My current favorite camera bodies are the Leica M and the Leica M-P. My favorite lens is the new Noctilux. My current challenge involves underwater photography. 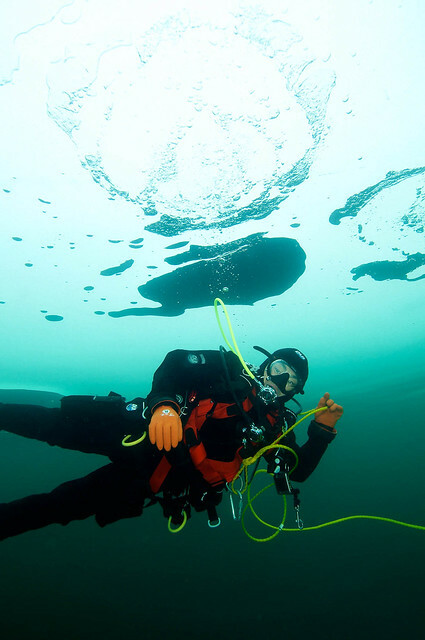 I’m training in closed circuit rebreathers, which allow you to dive for longer periods of time, and with no bubbles. That will let me take my underwater photography to the next level. However, I need to log around 100 hours on my rebreather before I’m ready to hold a camera underwater. I’ve only logged a little over 10 hours so far, so I still have a long way to go, but I’m looking forward to it. Your goal in photography has been to capture portraits that helped others see what your subjects are all about as people. How is that going? Initially, I was trying to capture all of my friends, so I carried a camera everywhere. At some point, I had photos of most of my friends, so the “yield” on carrying my camera started to diminish. I ended up with lots of images of the people I saw often, and even though I was traveling more, I got too busy to take a lot of photos. A few years ago, I stopped carrying a camera with me everywhere, so my photostream dried up. I guess that means I’ve lost sight of my goal. I’ll use the Freesouls project as a trigger to try to keep taking pictures. I do think that, occasionally, I’m able to capture portraits that help others see what they’re about, and I sort of miss that. How have you seen your photographs continue to be used? Have there been any surprises? I see a lot of my photos used by people, which makes me quite happy. Unfortunately, I see a lot of commercial media organizations using my images without attribution. It’s disappointing, and they should know better. However, I am still happy to see them in the wild. What kind of personal feedback did you get about the freesouls book project? I was happy that people learned more about Creative Commons after reading the book, and everyone seems to enjoy how the essays, the concept, and the images all fit together well. Thanks Christopher! Can you reflect on your own personal and professional development since the first Freesouls book? A lot has happened since the book came out. The main thing is that I’m now the Director of the MIT Media Lab, and have moved to the US from Dubai. The trajectory is the same, but I’m now working on “one thing” - the vibrant ecosystem that is the Media Lab. I’m not as scattered around multiple organizations as I was in the past, although I still have a few outside activities, such as serving on the boards of Sony, The New York Times, the MacArthur Foundation, and the Knight Foundation, that take some of my attention, but I think are part of the same broader ecosystem. However, the DNA of the Media Lab is very similar to the Internet DNA that I grew up with, so I feel like I’m just more of what I was when I worked on the last book. I have a different network of friends and colleagues now, so I look forward to capturing and freeing their souls.